The Vikings have forced three turnovers in the last five weeks. They play the Bears in Week 17. The Vikings lead the league with 47 sacks. They play the Lions in Week 16. Analysis: The Vikings have a golden opportunity to extend their sack lead, as Lions QB Matthew Stafford has been taken down on seven percent of his dropbacks, ranking 10th in the league among quarterbacks with 10 or more starts. Their cornerbacks match up well against the Lions wideouts, too, as Kenny Golladay is the only true threat. Stafford may often be forced to either get hit or throw the ball away. The Vikings D/ST is a dependable option in championship week. The Vikings have allowed over 140 rushing yards in three of the last four games. They play the Dolphins in Week 15. 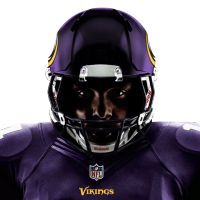 The Vikings have allowed the least passing touchdowns (15) in the league. They play the Seahawks in Week 14. The Vikings have allowed less than 192 passing yards in each of the last five games. They play the Patriots in Week 13. The Vikings have kept the last four opposing quarterbacks below 200 yards. They play the Packers in Week 12. The Vikings have forced six turnovers in their last four games. They play the Bears in Week 11. 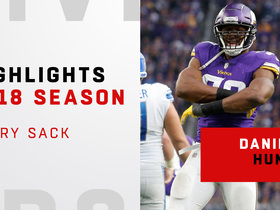 Minnesota Vikings defensive end Everson Griffen talks with the 'Inside Training Camp' crew about scuffles in practice, being the wily vet in his ninth season with the team, and how he's learned from previous players before him how to lead by example. 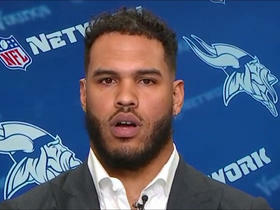 Minnesota Vikings linebacker Anthony Barr explains why he decided to return to Minnesota instead of leave the Vikings for the New York Jets. 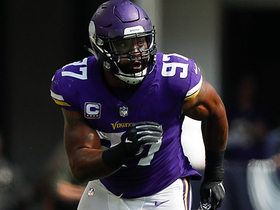 NFL Network's Tom Pelissero reports that the Minnesota Vikings have agreed to a restructured contract with defensive end Everson Griffen to keep him in Minnesota. 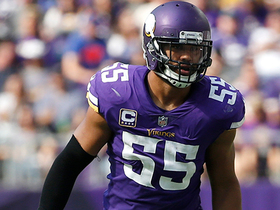 NFL Network's Mike Garafolo explains why linebacker Anthony Barr will remain with the Minnesota Vikings instead of joining the New York Jets. 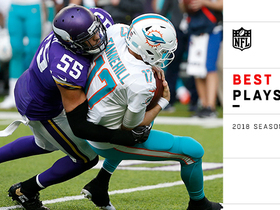 Check out all the best plays from Minnesota Vikings linebacker Anthony Barr's 2018 NFL season. 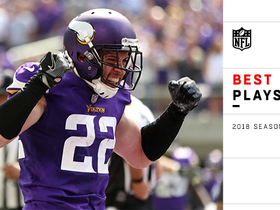 Watch all the best plays from Minnesota Vikings safety Harrison Smith's 2018 season. 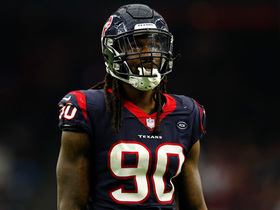 NFL Network's Willie McGinest reveals his top ten pass rushers for teams to target in the 2019 NFL Draft and free agency this offseason. 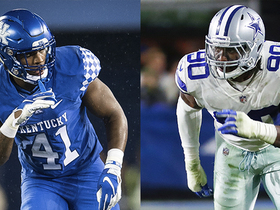 NFL Network's Willie McGinest evaluates the top potential free-agent pass rushers this offseason. 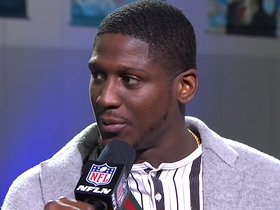 Minnesota Vikings cornerback Xavier Rhoades joins 'Super Bowl LIVE' to discuss what's most impressive about the Los Angeles Rams offense.